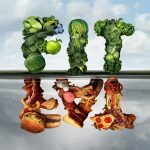 Can you really be “Fit and Fat”? Can some obese individuals be considered ‘metabolically healthy’? This is a question that has been hotly debated over the past few years, and thanks to new research may be closer to being answered. Since the 1990s there has been a body of research that suggests the existence of ‘metabolically healthy’ obese individuals. Notably, in 2012 a paper a published in the European Heart Journal, concluded that a sub-group of obese people were ‘metabolically healthy’, and this ‘metabolically healthy but obese phenotype’ was a ‘benign condition’  which does not require as intensive interventions as their metabolically unhealthy counterparts. This study – co-funded by The Coca-Cola Company – fuelled an already ongoing debate in the scientific community. The message that you can be ‘fat and fit’ provided compelling headlines around the world, and the issue was covered at length in the mainstream media. However, since then there have been numerous reports that challenge this assertion. Most recently, a study published in Cell Reports  investigated gene expression in white adipose tissue in response to insulin stimulation in three groups – Insulin Sensitive Severely Obese (ISO), Insulin Resistant Obese (IRO) and Non Obese (NO). There is no consensus on how to define ‘metabolically healthy obesity’, but one of the key characteristics is high insulin sensitivity. And researchers found that both ISO and IRO individuals displayed very similar abnormal gene expression in response to insulin stimulation. These results were independent of other cardio-metabolic risk factors such as BMI and hip-to-waist ratio. Furthermore, direct comparison of both ISO and IRO groups to non-obese individuals strongly suggests that obesity was the major factor. There were some limitations to this study. It was only carried out in severely obese individuals, and the study included pre- and post-menopausal women – both factors that could have impacted on the results. Nonetheless, it appears that – in severely obese women, at least – white adipose cells of ISO individuals exhibit similar abnormal responses to insulin stimulation as IRO individuals. However, more research is needed to provide further clarification.